Automotive technology has progressed significantly in the past decade. Bluetooth, in-vehicle Wi-Fi, telematics, and even tire pressure monitor sensors are all channels into a vehicle which create vulnerabilities. Externally connected head units and electronic control units (ECUs) can become gateways for attacks into the car. 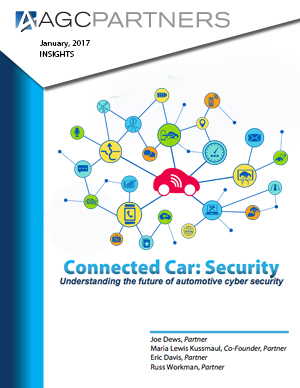 Cyber attacks on vehicle subsystems represent a major threat to driver safety, and the reputational damage and cost of security-related recalls successful cyber attacks can cause are a significant financial risk to auto OEMs and tier one suppliers. With connectivity has come a significant need for security. This report takes a closer look into the market as well as companies in the ecosystem, M&A and private placement activity.